Facing cuts are the agency's grants to states, including its air and water programs, by 30%, and eliminating 38 programs. WASHINGTON — The Office of Management and Budget has suggested deep cuts to the Environmental Protection Agency’s budget that would reduce its staff by one-fifth in the first year and eliminate dozens of programs, according to details of a document reviewed by The Washington Post. While White House officials have already indicated they plan to increase defense spending at the expense of other discretionary funding, the new document spells out exactly how this new approach will affect long-standing federal programs that have a direct impact on Americans’ everyday lives. The plan to slash EPA’s staff from its current level of 15,000 to 12,000, which could be accomplished in part through a buyout offer as well as layoffs, is one of several changes for which the new administration has asked agency staff for comment by close of business Wednesday. Multiple individuals briefed on the plan confirmed the request by OMB, which did not immediately respond to a request for comment. The proposal also dictates cutting the agency’s grants to states, including its air and water programs, by 30 percent, and eliminating 38 separate programs in their entirety. 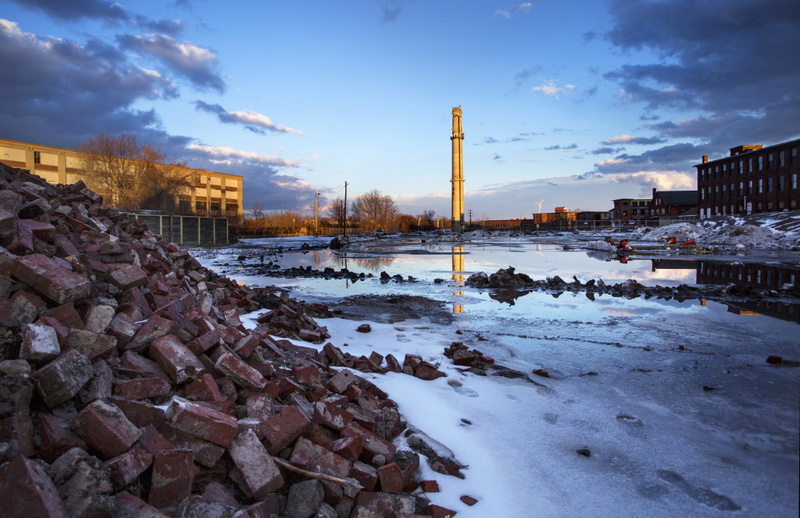 Programs designated for zero funding include grants to clean up brownfields, or abandoned industrial sites; a national electronic manifest system for hazardous waste; environmental justice programs; climate-change initiatives; and funding for Alaskan native villages. The agency’s Office of Research and Development could face a cut of up to 42 percent, according to an individual apprised of the administration’s plans. The document eliminates funding altogether for the office’s “contribution to the U.S. Global Change Research Program,” a climate initiative then-President George H.W. Bush launched in 1989. The EPA’s grants and contracts already had been ordered frozen by the Trump administration, causing concern among Maine municipalities, contractors and state agencies. “I am concerned about the grants that have been targeted, particularly around water infrastructure, and those very important state revolving funds,” said the new Environmental Protection Agency administrator, Scott Pruitt, about the budget. S. William Becker, executive director of the National Association of Clean Air Agencies, said in an email that the proposed cuts would devastate critical federal financial support for communities across the country. Any such cuts would have to be codified through the congressional appropriations process and would likely face resistance from some lawmakers. Jennifer Hing, a spokeswoman for the House Appropriations Committee, declined to comment Wednesday on the proposed EPA cuts, but said in an email that the panel “will carefully look at the budget proposal once it is sent to Congress. Nonetheless, the instructions to EPA serve as blueprint for how the new administration plans to delegate many responsibilities to the states even as it cuts the money they will receive from the federal government. It tells the agency it should get states “to assume more active enforcement roles” when it comes to enforcing federal environmental standards and it should curtail its compliance monitoring activities. 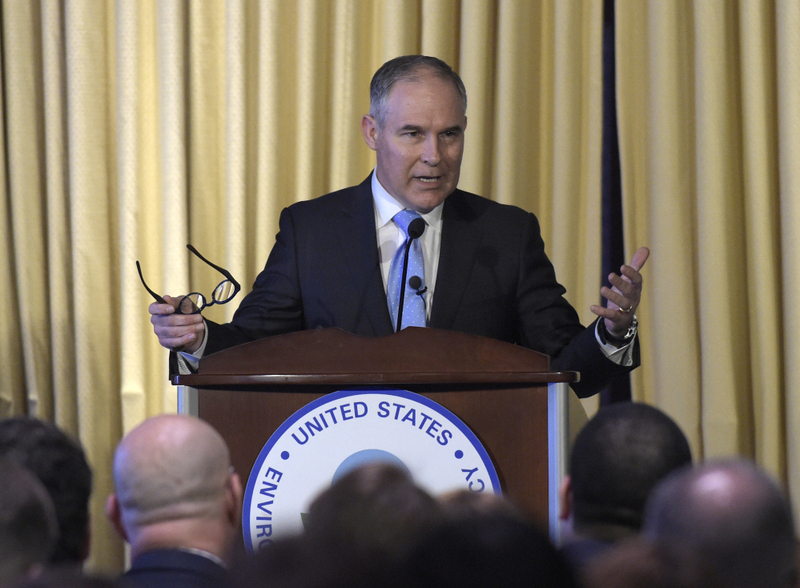 “EPA is to evaluate ways to reduce federal enforcement inspections while keep a consistent and effective enforcement program,” the document reads. The EPA declined to comment on the budget proposal Wednesday. But newly confirmed EPA Administrator Scott Pruitt, who has been a longtime critic of the agency and has insisted one of his top goals will be to roll back key Obama-era regulations, cautioned this week that the particulars of the budget remain in flux. Pruitt said he already had spoken with OMB Director Mick Mulvaney about the agency’s funding. Greenpeace spokesman Travis Nichols insisted in an email that is not accidental the proposed cutbacks would disproportionately affect poorer Americans and minorities.